I am so happy that we chose Magnolia Manor for our wedding venue. The venue itself is breathtaking. Our guests were amazed at how beautiful the venue was for both the ceremony and reception. I cannot say enough about Lauren Russell, our wedding coordinator at Magnolia Manor. She was with me throughout my whole planning process and helped to ease any anxiety that I had. Her and her assistants went above and beyond the day of the wedding to make it a magical experience, even with the rain that was on and off throughout the day. Overall I loved having our wedding at Magnolia Manor and will never forget how special of a day it was! Magnolia Manor is so beautiful and the perfect venue. Lauren is an amazing coordinator. She was super helpful and organized every step of the way. She even had super glue handy when two of my bridesmaids shoes came apart 10 minutes before our ceremony. Lol. My guest not being much of the dancing type loved having the option of hanging around the fire pit and enjoying the lawn games. I couldn’t have asked for more perfect wedding day! Beautiful venue and great staff. 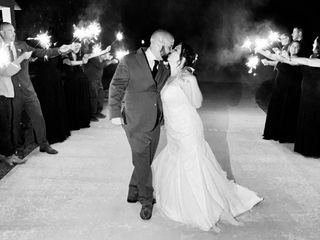 Our wedding was absolutely perfect. As the bride I barely stressed on my day because of our wedding planner, Lauren!! Love, love, loveeeeee this venue! Where do I begin?! I absolutely LOVEDDDD this venue! Lauren the venue coordinator was so easy to work with and stayed on top of every last detail! The venue has such natural beauty, the pictures are to die for. I could not be anymore pleased with Magnolia Manor and how wonderful my wedding was! I had a TON of guests tell me how beautiful and perfect the venue was. I highly recommend checking it out! Venue is breathtaking and beautiful, this place is a hidden gem as well! If your looking for a rustic venue this you your place! This place is breathtaking! Lauren is awesome with corrdinating everything! Everyone said this was the best wedding they have ever been too! The venue is amazing!! All the service that Lauren, Linda and her team has done was some amazing. I was never one of those little girls that fantasied about my wedding day and how perfect everything was going to be. But if I had, Magnolia Manor would have surpassed any of those expectations. 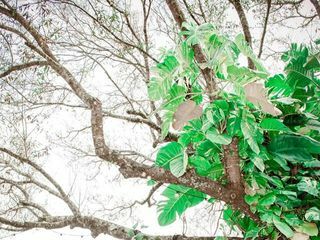 Not only is the scenery so picturesque and made the photos turn out absolutely gorgeous but the way Lauren and Linda run the venue makes any stress a bride could have disappear. 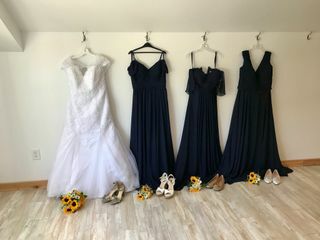 Being able to get ready in their cute bridal suite and watch everything come together was a huge plus too. I would recomend this amazing venue and staff again and again!! Perfect in every way! Thank you Magnolia Manor! Lauren was perfect in every way.. she took care of and communicated with all the vendors.. when the florist forgot an arrangement, she took care of it immediately and had the flowers there in 15 mins. She kept us informed every step of the way. I was able to enjoy the day with my daughter (bride) knowing Lauren had EVERYTHING under control. Venue was beautiful and I feel like everything was taken care of for me. My family is still telling me how stunning the venue was and how perfect everything looked. Lauren is amazing, she took care of all the little details for me and I feel like I really got the wedding that I wanted without having to stress on the day-of. My husband and I went venue looking, and we weren’t planning on booking a venue that day, but upon arrival, we immediately knew this was the place we wanted to have our wedding. We booked that day! This venue is so beyond beautiful, and the staff there is incredible! They are all so lovely, accommodating, personable, and professional. I felt like we became friends. I couldn’t dream of a better place to have an event. If you’re looking for a venue that is breathtakingly gorgeous, with an amazing staff, this is the place for you. They even offer rentals! We rented corn hole and Jenga for the families, and they had a blast! We couldn’t be happier. We’re even hoping to have our vow renewings here in the future! Thank you, Magnolia Manor, we love you! Magnolia Manor is a beautiful place. Our wedding was amazing and we couldn't have been happier with how smoothly everything went. We were extremely pleased with how friendly and helpful the staff was. Also, our wedding planner that comes with the venue, Lauren, was a huge help to us! She was very detailed & organized in her work and constantly made us feel at ease throughout the planning process. Josh and I got married at this venue on September 29, 2018. All i have to say: It was wonderful everything came out perfect, Lauren Russell did a great job, and what I think it was fascinating it's that the venue help us a lot with the organization, It's not just the place where you get married, they make it happen in the most amazing way! The property is beautiful and the spaces are just perfect. Thank you so much! 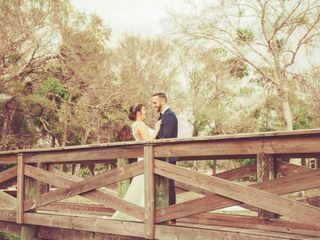 Lauren was easy to contact and very detail oriented with our vintage Florida themed wedding day. Walking into the reception was like walking into everything we had dreamed. The venue was perfect for my daughter's rustic wedding. Lauren was very helpful and made sure everything went smoothly. We could not have been any happier in booking this venue for our daughter‘s wedding. Not only was it a beautiful setting for the ceremony and photos, Lauren and her staff are amazing! 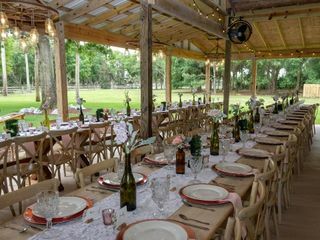 I wish we lived in Florida because I would book Magnolia Manor for other events as well. Magnolia Manor was the absolute perfect venue for our wedding, everything about it was perfect! The first time we went to look at it we fell in love with it. I loved that there was a different locations for each part of our wedding. We wanted a rustic wedding and this was exactly what we got. The staff was FANTASTIC! I cannot say enough about them. I didn't want or need for anything, they were by my side the entire time making sure everything was exactly as I wanted it. I couldn't imagine having our special day anywhere else and would highly recommend it to anyone looking to find the perfect venue. Outstanding!! Great value for brides on a budget. The site is beautiful and the service provided by Lauren is truly amazing! Absolutely beautiful venue and they responded so quickly! We had to book and can't be happier! Thank you so much Sheila for your kind words. You and Lee were a pleasure to work with. Thank you for choosing Magnolia Manor as the backdrop to your special day. This venue was love at first sight! 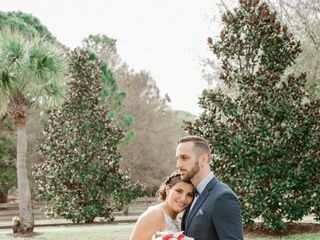 On the treasure coast it’s hard to find a venue that everyone you know hasn’t been married at, so to pick a gem like Magnolia Manor was a no brainer! 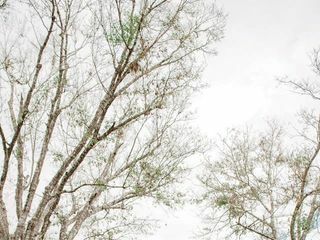 The natural beauty of the site made planning my simple rustic wedding dream come true! Linda and Lauren are life savers and had everything covered to help make sure my wedding day ran as close to perfect as you can get. Take the time to check this venue out because you won’t be disappointed! Magnolia Manor was a fantastic venue for our wedding. It was beautiful and exactly what we hoped for. Everyone on staff was so helpful and accommodating and they made the whole process very easy. I didn't have to worry about anything on my wedding day. Even though it rained and we had to have the ceremony under cover, it was truly beautiful and intimate. 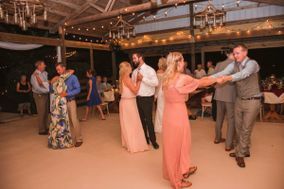 My venue decision on Magnolia was last minute after our original plan was cancelled because of hurricane damage and it was a blessing in disguise. Magnolia is beautiful, Linda is wonderful, so helpful and accommodating, and Lauren is a coordinator from a dream. There aren't words to describe this team or how blessed I feel to have had our special day there.